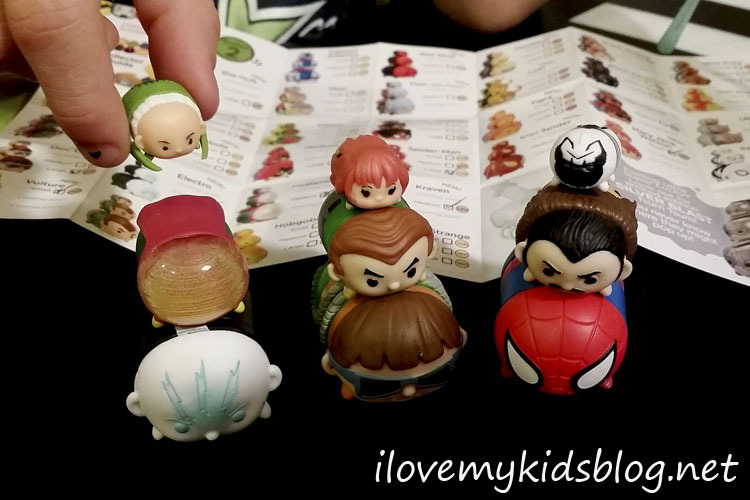 If you are a Disney or Marvel enthusiast, Tsum Tsum toys are a must have item for your collection. 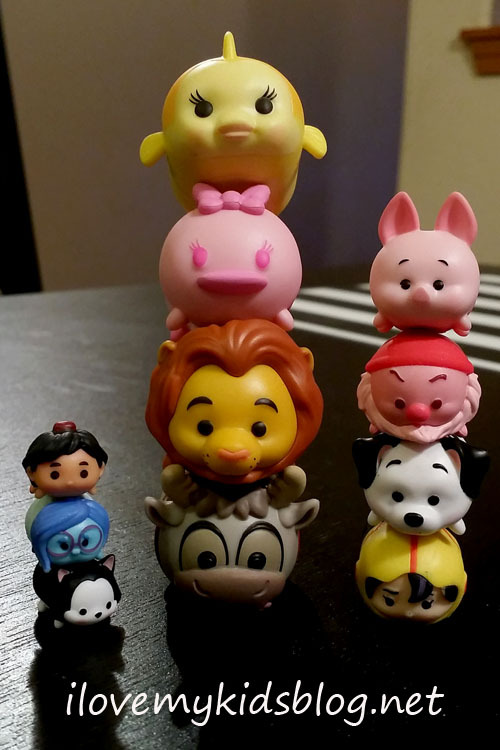 When I first heard of Tsum Tsum toys, I instantly fell in love with their designs. 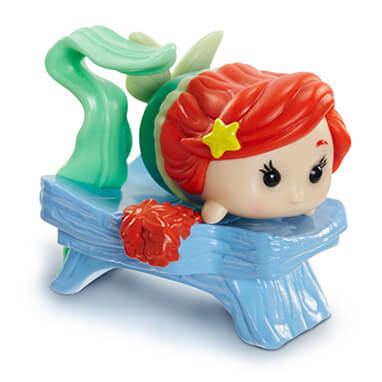 The detail each little figurine portrays captures the character perfectly. 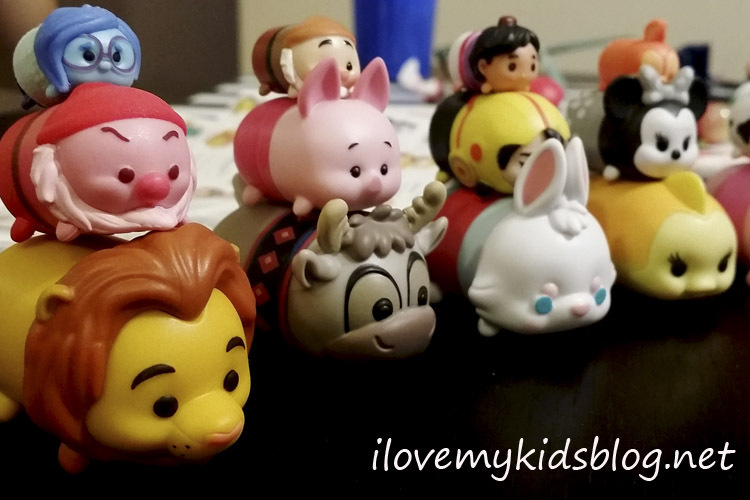 As I became more familiar with them, I realized that Tsum Tsum toys are a collectors dream. As a collectors item, Tsum Tsum toys are perfect. Each character has three sizes that can be collected ranging from small to large. A collectors guide is provided with each package so you can tell if you have found a common or rare character. I have three kids old enough to play with Tsum Tsum toys. Unfortunately none of them have really showed any interest in playing with them. My son enjoys looking at them, and occasionally restacking the towers he has created, but that is it. Tsum Tsum toys have released 4 series of Disney characters and 1 series of Marvel Characters. With the Disney Series you can collect characters such as Bambi, Minnie Mouse, Flounder, Baymax, and many other popular Disney stars in three different sizes. The Marvel characters include Captain America, Thor, Wonder Women, and Spider-man, just to name a few. I love the detail on each toy and the memories that flood my mind when I see all the different Disney and Marvel characters. I would enjoy collecting them as a hobby, and perhaps my children will as well. Tsum Tsum toys are sold in 3-packs, 9-packs, and blind packs. There are also packs that have mystery characters as well. I love the mystery characters and blind packs. They make it more exciting to see what character will be added to the collection. The hopes of getting a rare one is what will keep you coming back for more. If you aren’t sure if this toy is a good one to add to your household, I suggest purchasing a 3-pack first and seeing how it goes. They certainly make great stocking stuffers or treasure box rewards. Tsum Tsum toys can be purchased at Walmart, Toys R’ Us, Target, Dollar General, & Walgreens. If you could get any Tsum Tsum character, what would you get? Jakks Pacific provided me with this item for review. The opinions expressed above are my own, based on the experiences I had observing and using the provided product. Enjoy.